Despite the lure of Long Island's lovely beaches and cultural and culinary attractions, there are times when you want or need to travel. Anyone traveling outside of the United States --and this includes infants and children-- needs a passport, even if you're just taking a short hop to Canada, Mexico or the Caribbean. Whether you're traveling abroad by car, train, plane or ship, you'll need a U.S. passport. There are a number of ways to get or renew your U.S. passport on Long Island. Some are slow and relatively inexpensive, and other ways are fast but they will cost you extra. You will also need U.S. passport photographs. These must be 2" x 2", identical and in color. The photos must have been taken within the past 6 months and show a full face, front view. the background must be white or off-white. The photos must measure between 1" and 1 3/8" from the bottom of your chin to the top of your head. You must be wearing normal street attire, not uniforms. You are not allowed to wear a hat or other headgear that hides your hair or hairline. If you usually wear prescription eyeglasses or other items, you should wear these for your passport photo. Dark glasses or nonprescription glasses with tinted lenses are not allowed (unless you use these for medical reasons, and you may be required to show a medical certificate in that case. )You may take your own digital photos if they meet the U.S. passport requirements for digital photos. However, vending machine photos are generally not accepted. Go to Travel.State.gov for a list of accepted proofs of U.S. citizenship and other identification. You will need to pay the current passport processing fee. At passport agencies, you may pay with credit or debit cards, checks or money orders. At some passport acceptance facilities, you may pay the exact amount in cash but always check beforehand if this is the case. It usually takes 4 to 6 weeks to process your passport application, but at times this changes. You can check Travel.State.gov for current passport application processing times. From 5 to 7 days after you've sent in your application, you'll be able to check the status of your passport application online. If one or more of the above statements does not apply to you, then you must apply in person. To renew your U.S. passport by mail, following the instructions at Travel.State.Gov. If you are getting your first or renewed passport and you can't wait 4 to 6 weeks, there's a way to expedite the process, but you'll have to pay an extra fee plus the cost of overnight delivery. 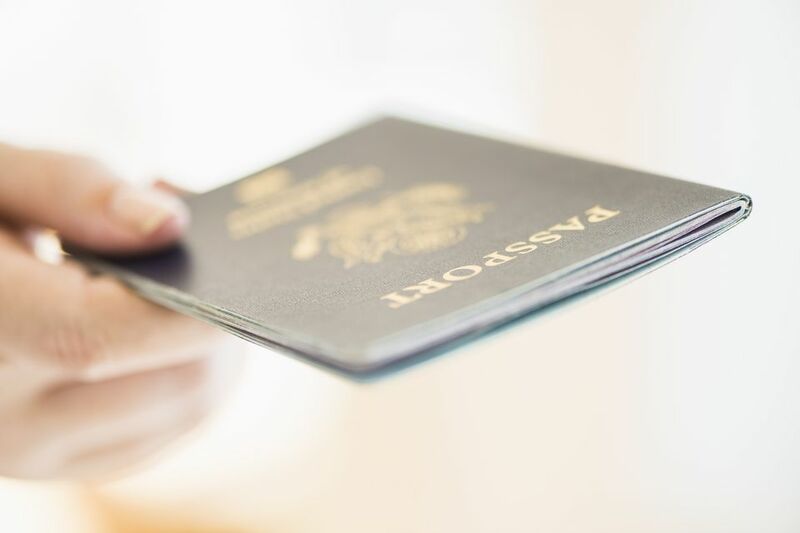 If you need your passport in less than 2 weeks for international travel or within 4 weeks to obtain a foreign visa, you may schedule an appointment at a regional passport agency. You can call (877) 487-2778 to schedule an appointment and to locate the nearest passport agency. The hotline is available 24/7.